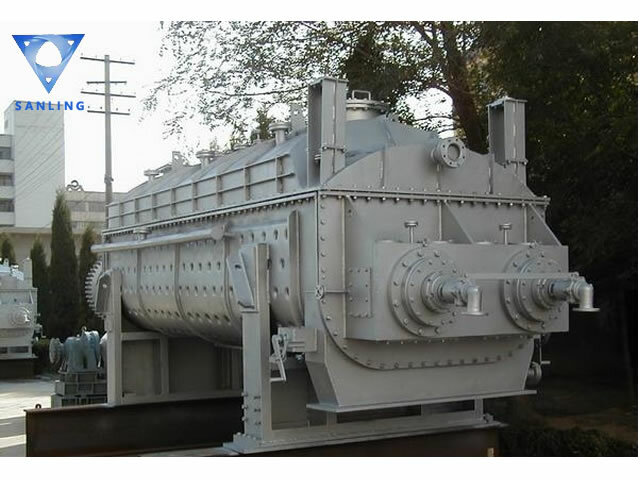 Paddle dryer is an indirect conducted heating type drying equipment. It is suitable for the processing of paste, powder, granular and other materials with good thermal stability. After special configuration, it can be used for the processing of heat sensitive materials; materials need recovery of solvents and materials to be dried under low vacuum. At the same time, the paddle dryer can be used for cooling powder, granular and crystallization material by cooling medium. The paddle dryer also can be used for heating of the material and reactor. Unique designing, easy maintenance and operation. Alumina powder and carrier, gypsum, polypropylene, industrial sludge, municipal sludge, potassium chloride, starch, carbon black, pulverized coal and so on.